There are many people out there who have been searching for new progressive rock bands, but have been getting turned off by the heavy metal leanings that most of them have. If you are one of those people, this album is the answer to your quest. Very much in the style of `70`s progressive rock, Focus or Blinders is well written, performed and produced. Progressive rock fans of all types should surely appreciate this work, but it should be of special interest to fans of Jethro Tull and early Genesis. Influences from both of these sources are prominent, and I must say that I feel that they actually pull off the newer Tull sound with more finesse than Tull themselves have managed in recent years. My only complaints on this album concern the vocals. There are times when the vocals seem a bit overpowering, and too guttural for my tastes. However, these moments are short and not all that frequent. This is definitely a fine album and should be a welcome addition to any progressive rock collection. These guys really should be getting the attention of the major labels. The personnel on this release are Tom May, Barry Spry, Joe Allen, Rob Leythem, Russ Gross, Tom Hook and guests. 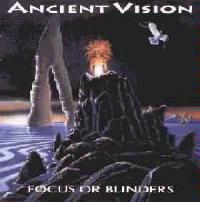 You can purchase Ancient Vision-Focus or Blinders directly at 1-800-844-4676, by email at avnow@aol.com, or at the website: http://www.kspace.com/vision or from many fine independent distributors. The CD's retail for $13.00 plus $1.50. Tell them that you heard about it here, and they will add in a FREE cassette copy if you order the CD. Some very cool keys, vocals and bells make for a very nice intro to this song. Fail Not Me has a familiar sort of progressive feel, while still seeming fairly unique. This song does contain a few of those guttural vocals that I am not so sure about, but they may grow on me. In many ways, other than these points, the vocals on this one remind me just a bit of Dennis DeYoung. Beginning with almost a UK sort of style, this one is heavily Tull influenced (and, in fact, the lyrics, which are quite interesting at times, contain a definite Tull quote), and very well done. There is actually one keyboard line in here that calls to mind a Wakeman riff from one of the Paris Session tunes. The vocals on this song are incredibly dramatic at times, almost in a theatrical musical style. The arrangement to this track is quite nicely quirky at times. Much of this song contains some very pretty keys, and in fact, it begins with a nice helping of those pretty keys. This is quite a dramatic song with a bass sound that sometimes reminds me of Chris Squire. In fact, some of the arrangements on What Is Given Is Not Lost has sort of a Yes styled/symphonic feel to it. The lyrics here, as in the entire album, are very positive. A jazzy intro, with a very funky bass line gives way to a song which is very reminescent of early Genesis. The lyrics to this one, although actually quite positive, are a bit too gritty for me in the beginning. That grittiness is really necessary as a counterpoint for the message of the piece to work, however. 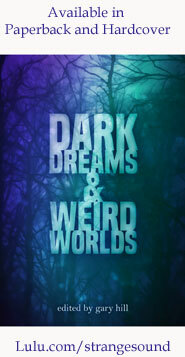 A very short piece, Dreams(Part I) is a nice ballad with some pretty saxophone work. A very nice dramatic intro starts off this masterwork. Certainly my favorite song on this album, this one is heavily influenced by early Genesis, while still coming across as a very original piece. A wonderful instrumental break serves as sort of centerpiece to this track. This song, which is very dramatic, contains some very strong vocals and vocal/instrumental interplay. The first portion of this song is a nice ballad which begins with some interesting acoustic guitar/vocal interaction. The pieces progresses quite nicely into a very dramatic progressive styled conclusion. There is a nice seamless transition into We Are Not Gentlemen. Another rocker in the Tull vein, this song features some VERY strong vocals. This is an extremely strong track with a very nice instrumental section featuring some tasty work from all the musicians, but the keys and guitar are particularly powerful here. For some reason, the keyboard intro to this song reminds me a bit of Rush. However, this song, a very strong progressive rocker, is really very original, and some of the vocals are quite emotional. Another song that is definitely from the Tull sort of school, this one is quite well arranged, and contains quite a few of those early Genesis influenced sections. A somewhat Yes influenced opening gives way to a song which again is quite heavily in the Tull mode, but with a very original arrangement, and some very nice stylings. This is another very short piece, and a good mood/texture work. Essentially a bundling together and reworking of themes from the other songs on the album, this is a very appropriate conclusion and serves to kind of tie up any loose ends. This piece is a well thought out addition to this work.